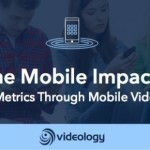 Videology, a leading software provider for converged TV and video advertising, released the third installment of its educational ‘Knowledge Lab’ series. In this release, Videology discusses key issues in the advertising ecosystem related to advanced linear TV advertising. In addition to the broader industry overview, the lab also discusses Videology’s DETV™ product and advanced linear TV advertising capabilities, which allow advertisers to reach strategic target audiences with greater accuracy, while maintaining the full scale and impact of traditional linear TV. Read Videology’s full Knowledge Lab on Advanced Linear TV advertising here.